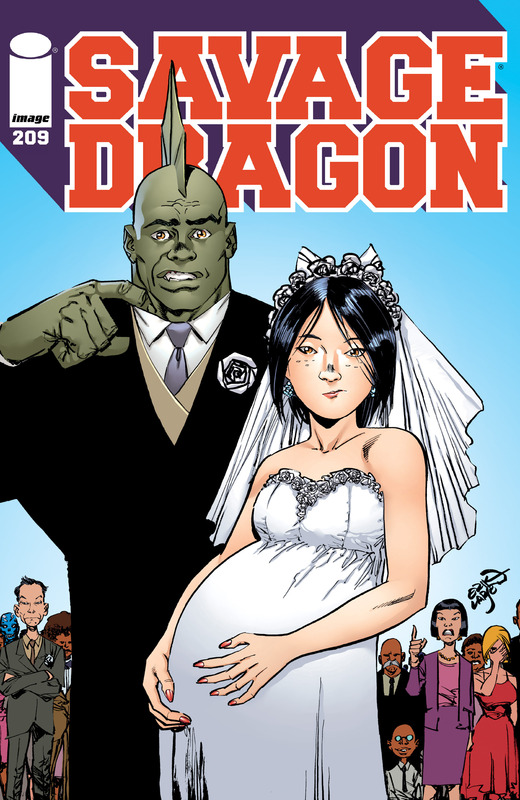 It is the day of Malcolm Dragon and Maxine Jung Lai’s wedding and Maxine shows off to Battle Girl a new device around her torso. This mechanism has been given to her by Lorella to keep her unborn child from tearing through her body when it is born. Frank Darling takes one last opportunity to check that Malcolm is sure of his decision to marry Maxine, worried that her tendency to cause trouble will come back to harm his best friend. This concern is shrugged off and PJ comes to take them to the ceremony. Malcolm awaits at the end of the aisle alongside his best man Frank as Angel Murphy first walks down, followed by little Laila. Maxine then walks down the aisle on her own, her father having refused to walk her down there. The two are soon married and embrace for a kiss in front of all of their friends and family. William Jonson jokes about his own sons soon getting married, a thought that terrifies Rita as their kids have not even completed high school yet, Thunder-Head meets a beautiful young woman named Nancy Chu who works with Maxine and the two instantly hit it off, even dancing together at one point. Rock and Widow provide the food, Rock temporarily coming out of retirement to cook his famous burgers for the guests. It is then time for Frank to deliver his best man’s speech, noting how both Malcolm and Maxine are two of the best friends he has ever had. He is so happy that they have found each other and wishes them all of the best. Angel soon follows with her speech and the newlyweds kiss to celebrate their love once more. Alex Wilde surprised many by attending the wedding and is thanked for making the trip out to come. Daredevil goes over to Maxine’s saddened parents and declares how proud they must be for their daughter to marry such a great hero as Malcolm. They are later approached by Malcolm and Maxine to try and make peace. The situation is begrudgingly accepted before the recently married couple get ready to leave for their honeymoon. They board a flight to Hawaii and leave everything else behind in order to start their new lives together.